This week’s answer is – go to a Trade Show. I spent a damp day last week safely under cover at Sandown Park attending horticultural tech exhibition FutureScape. Who knew drainage could be so interesting? 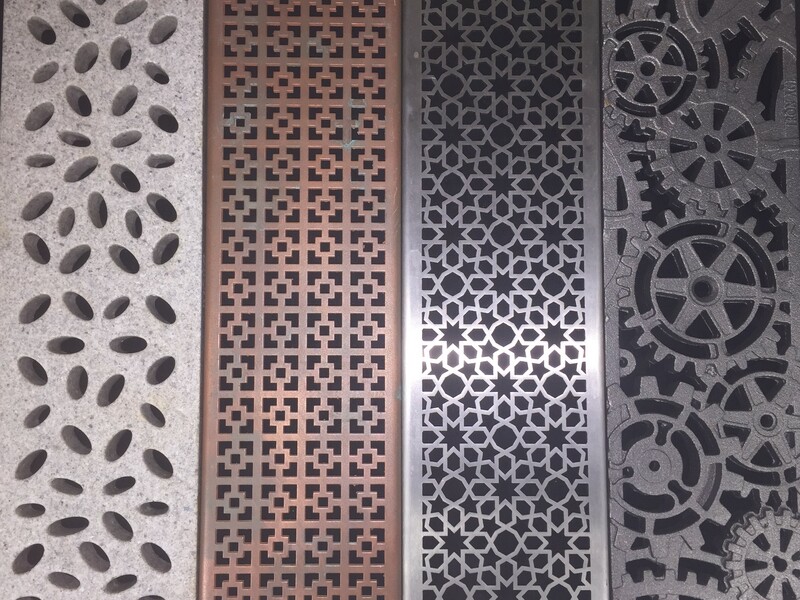 First on the list to see were Lateral Design Studio, who have created these funky threshold drain covers. They’re not the first thing you think about when putting drainage into a build, but it’s definitely the first thing you’ll see when you step out of your patio door – a step up (or should I say across) from the standard ACO-style drain…. Millboard’s composite wood-a-like panels caught my eye next, with these replica planks which look a little more solid and less artificial than most decking I’ve seen. I can imagine this as a safer and longer lasting alternative to timber over water (i.e. pond jetty edge). This is a sample of the weathered oak effect. Finally, the annual AM Gardens works outing wouldn’t be complete without fellow gardener and sibling Laura, who helped me navigate my way round the numerous exhibitors to the promised land of coffee bars…. The exhibit I particularly enjoyed was the wildflower turf which would give instant impact, attract and support wildlife. It would be great to have a piece of the garden to dedicate to this. I was surprisingly rather taken with the composite planks and artificial grass which looked very natural. Gardening is full of possibilities!